Pre-ROTJ hardcopies and hardcopy parts surface less frequently than their than Return of the Jedi era counterparts. 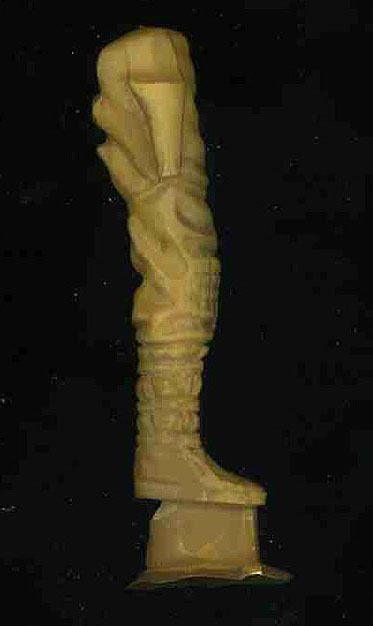 The brown colored Luke Hoth hardcopy leg seen here is cast in carbalon, a urethane commonly found among Kenner hardcopies from the Star Wars and Empire Strikes Back era. The usage of dynacast, a green colored urethane, became much more prevalent during the ROTJ era, however dynacast ESB hardcopies do exist. 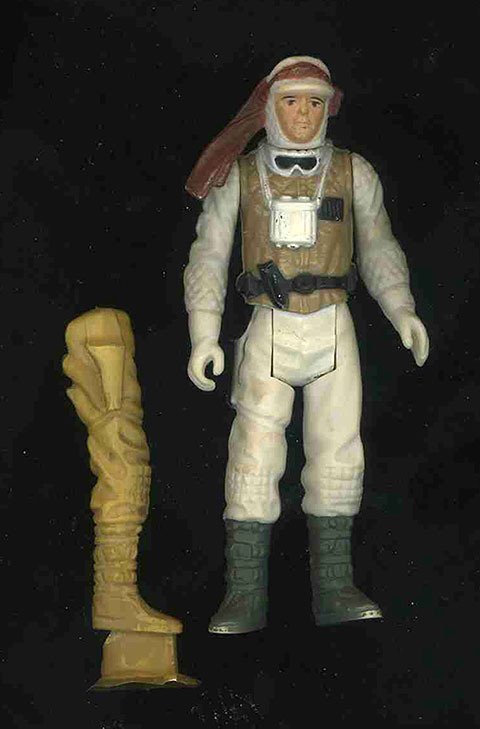 A production quality Luke Hoth action figure is shown with the hardcopy leg in order to illustrate the size difference between the production figure and hardcopy leg. The hardcopy leg is slightly larger than that of the production figure. This size difference holds true for the other figure parts, which are sadly absent. 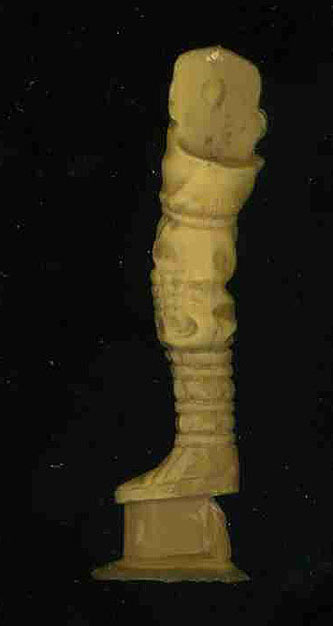 The final two images show the sides of the leg. The detail on this Luke Hoth leg, and all hardcopy parts for that matter, is much crisper. Fine detail is often subdued or lost throughout the later portions of the production process. Normally a hole would be located on the upper leg (right photo) to serve as attachment points for metal dowels. These metal dowels permit the legs, or any other limb, to attach directly to a hardcopy torso. This hardcopy part is unfinished and lacks the attachment hole. Notice the leg still possesses a pour stem on the foot bottom. This pour stem corresponds to the portion of the silicone mold, where liquid urethane enters the mold to fill the inner cavity.